Industrial North Design from the United Kingdom designed and produced two watches, the Britannic and the Vanguard. In 2007, automotive stylists Andy Shaw and Rob Silkstone decided to produce watches using precision engineering. What about cutting solid pieces of stainless steel using a wire with 32.000 volts (EDM technique), to be able to maintain 0.002mm tolerances. 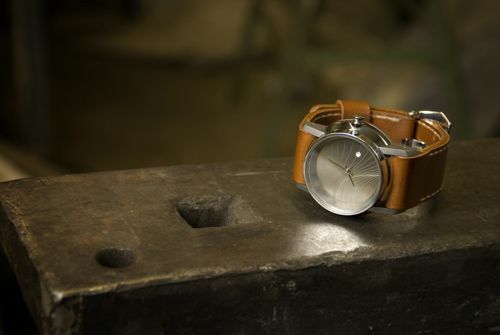 According to co-founder Rob Silkstone, the industrial heritage in Great Britain is something that should be part of the design of these watches. Both watches, the Britannic and the Vanguard are custom made by engineers that are also responsible for manufacturing precision parts for jet turbine engines for Rolls-Royce. 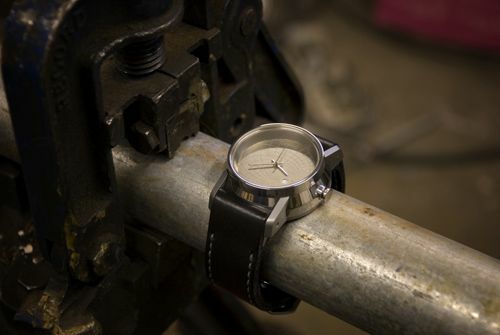 Industrial North Design also stresses that the sapphire crystals are from UK ground, the straps made to measure in England and that the mechanical movement (ETA2824 which we’ve seen in a lot of other brands as well) is being assembled and calibrated in the UK as well. The result of years of hard work is evident in their Britannic and Vanguard watches. 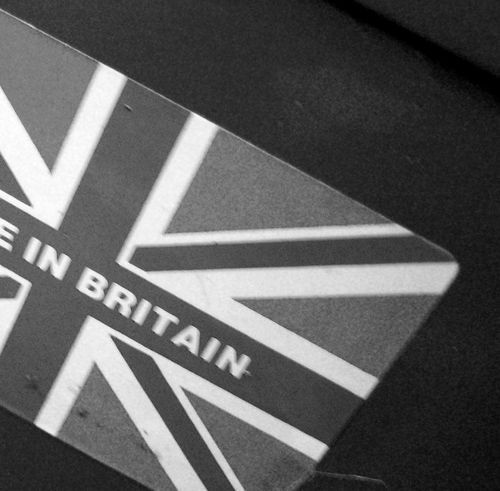 They are exactly what they should be, representing this typical industrial look and breath Great Britain. What about the Fibbonacci spiral that has been etched in the dial of the Britannic? These watches are limited to 15 pieces each. Did I already mention I love solid case backs? I can imagine that – depending on the level of collecting – some people might find every movement interesting to see through a caseback, but I prefer to only peek at movements that are something special. I rather see something cool engraved in the stainless steel, like the Royal Oak chronographs from Audemars Piguet or the BR series from Bell & Ross. Therefor I love the case backs of these Industrial North Design watches. 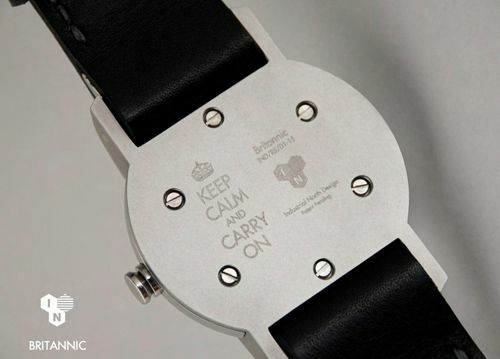 The screws give it an industrial edge, the ‘Keep Calm and Carry On’ inscription is something fun and I love their logo. The Industrial North Design Britannic and Vanguard watches are available for 2600 GBP (each). Custom work can be done as well, like a custom acid etched dial design (adds 600 GBP), a custom laser engraving on the back (600 GBP), custom made strap (400 GBP) or a made to measure strap (100 GBP). Also availble with PVD coating (sets you back 1800 GBP). Watches are available 6 – 8 weeks after ordering. Have a look at their website for more detailed information and electronic brochure.